Scrum is one of the most popular approaches to agile projects. Users think of it as lightweight and truly agile, however that can be unpopular for organisations. So when we looked to add a Scrum method to our portfolio it was important to satisfy both groups. The practical scrum method we developed keeps the agile scrum core but wraps this with more conventional project controls. So your Scrum project will have a Product Backlog and sprints. However it will also have a Mandate, Business case and benefits assessment. Sprints will be the basis of project planning and you will also keep a gantt chart type plan. Your scrum projects can therefore be reported on just like any other. By meeting the needs of the organisation for reporting and governance the Scrum part of the project is more acceptable. The Practical Scrum method we provide includes a full set of templates and processes. A scrum newbie or expert would both feel comfortable with. Particularly helpful is the product backlog template. This is set up to automatically link into reports to support your Daily scrum and also management reporting. Of course if you want to switch in your own templates you can do that too. You can personalise the process, templates and reporting if you need. Just do this once and have every subsequent Scrum project use the same materials. 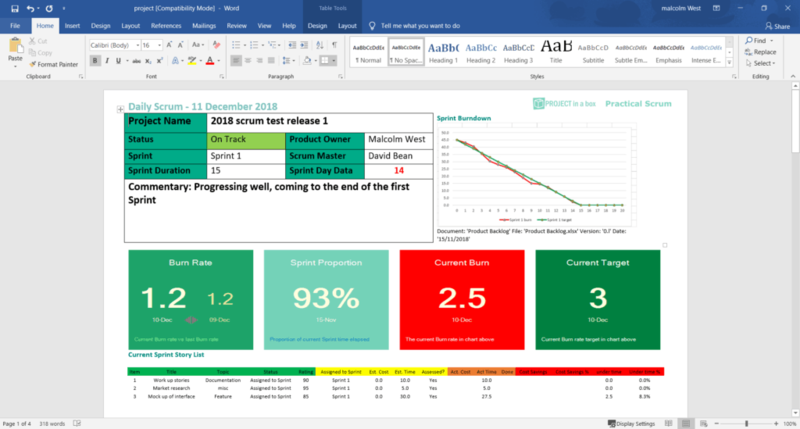 We now support both Practical Scrum and DSDM Atern as agile methods across our full product range. And we also provide Blended methods with our nStep 4 and 5 step methods supporting a mixture of waterfall, agile and other delivery options. Find out more about Agile Scrum? 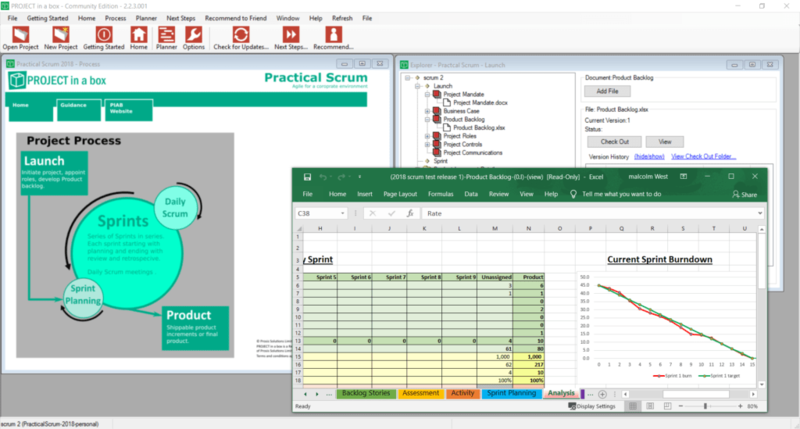 You can download our free Community Edition tool including the Practical Scrum and DSDM Atern methods now by signing up here. You can then use it free forever.